Coronary flow velocity reserve (CFVR) reflects global coronary atherosclerotic burden, endothelial function and state of the microvasculature. It could be measured using transthoracic Doppler echocardiography in a noninvasive, feasible, reliable and reproducible fashion, following a standardized protocol with different vasodilatory stimuli. CFVR measurement is a recommended complement to vasodilator stress echocardiography. It could serve as a diagnostic tool for coronary microvascular dysfunction and in the setting of epicardial coronary artery stenoses could help in identification and assessment of functional significance of coronary lesions and follow-up of patients after coronary interventions. CFVR has also a prognostic significance in different clinical situations. Iana Simova is Associate Professor of Medicine in National Cardiology Hospital in Sofia, Bulgaria. She graduated medicine in Medical University of Sofia and got her Cardiology and Echocardiography degrees in that university. Dr Simova has performed a postgraduate course in Basic Cardiology in Niguarda Hospital, Milan, Italy and training for noninvasive coronary flow reserve evaluation in Department of Medical Translational Sciences, University of Naples Federico II, Naples, Italy. Her PhD thesis deals with endothelial dysfunction, flow-mediated dilatation and coronary atherosclerosis. 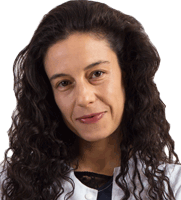 Dr Simova is an EACVI Educational Committee Member Iana Simova has participated in many research projects and has been awarded with a significant number of scientific awards. She in Editor-in-Chief of a local cardiology journal and Editor of European Cardiology Review journal and EC Cardiology journal. Iana Simova’s main research interest is echocardiography. Apart from this, she takes a leading role in different research projects dealing with vascular structure and function, telecardiology, sports cardiology, ECG signal data processing and evaluation of patients with syncope.